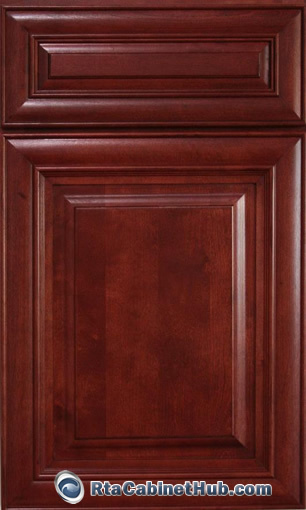 With Mahogany Maple cabinets, the lush duskiness common in high-end homes and fabulous architectural masterpieces of the past can now be enjoyed in your very kitchen. 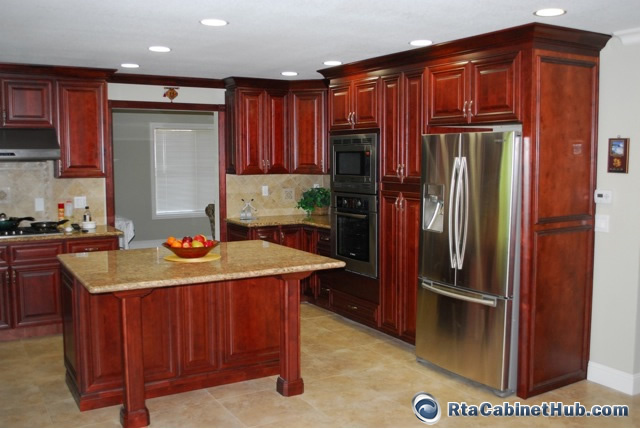 RTA Cabinet Hub indulges your fashionable desires and satisfies your remodeling needs, while allowing you to enjoy the best value for your renovation money. The fine evenness of the grains, inherent in maple, is made more appealing by the rich mahogany stain that gives Mahogany Maple Cabinets that exquisite smokiness and awe-inspiring appeal. With this choice, you can capture the luster of the world’s premier wood for fine furniture and cabinetry without spending a fortune. The rich warmth of Mahogany Maple is perfect for earth-toned granite but can also complement well with other remodeling materials, natural or not. Manufactured from selected hardwood timbers and in all-wood construction, Mahogany Maple cabinets boast of durability to last. 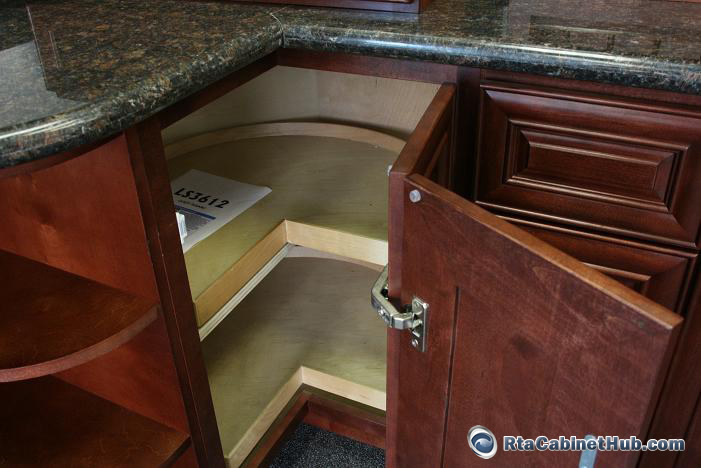 RTA Cabinet Hub adds to the sturdiness of their premium lines of cabinetry through taking advantage of innovative product designs and integrating unique features that promote stability and ease in use. 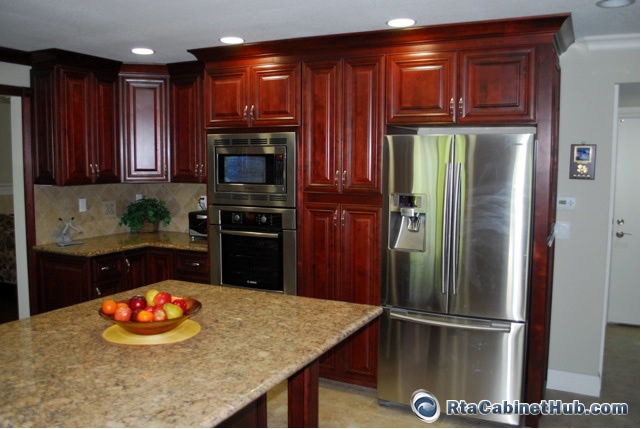 Without any trace of particle board, these kitchen cabinets can beautifully outlast the everyday challenges in busy kitchens and allow these fashionable building blocks of kitchens to grace your homes for many more years to come. 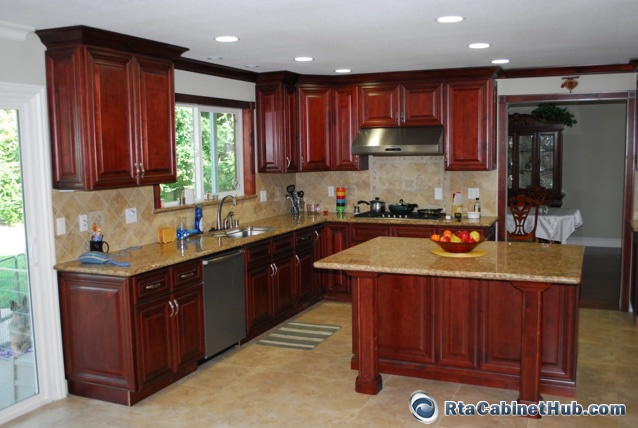 Mahogany Maple cabinets from RTA Cabinet Hub feature raised door panels and a full overlay design. 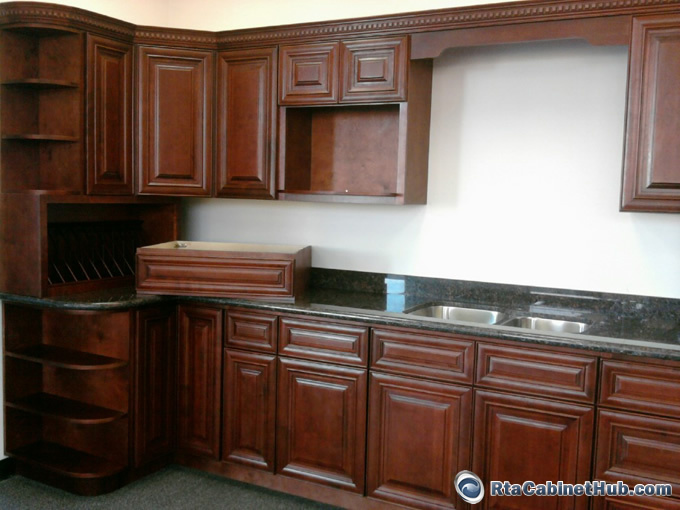 For your specific remodeling needs, you can choose from the many sizes and make that these cabinet units come in. Depending on the layout and size of your kitchen your cabinetry collection can include single or double doors, wall or base, all drawers, pantry and oven, and other dimensions that are beyond standard such as diagonal wall corner, wine racks, or wall end shelves. 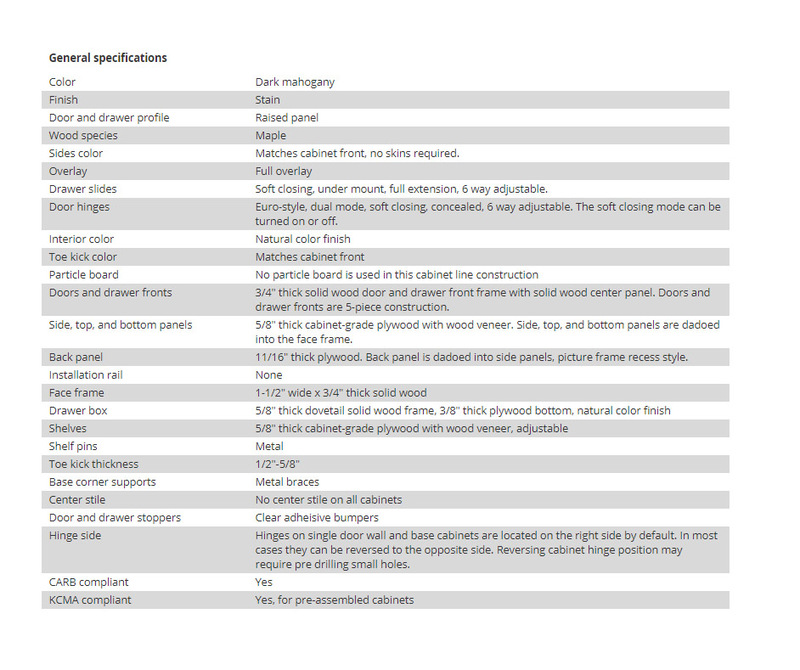 And for that custom touch, you can add available accessories and make the most fabulous statement in your decor. 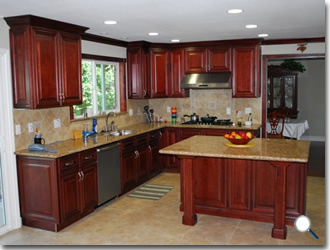 Mahogany Maple product is identical or similar to Cayenne Cognac, Royal Cherry and Hampton Maple Mahogany cabinet lines offered by other stores.